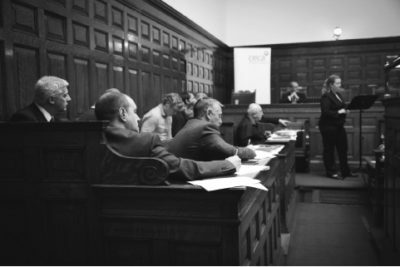 A half-day event with delegates playing the role of the Jury. The trial will focus on issues relating to compliance with company procedures, safe working practices and the influence of fellow workers. If you would like further information, contact Sharon Brown.